Sewing machine needles and thread are the least understood elements of quilting and sewing. 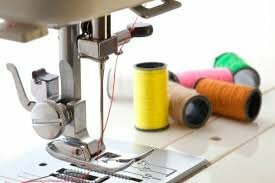 I speculate 80% of the problems we have when sewing are incorrect or damaged needle and thread not feeding properly onto the machine or incorrect or poor quality thread..The correct tool for the job is not just a cute phrase, but oh so very true... even while sewing.. I guarantee that you will learn lots and much of your frustration will be gone..